There are many reasons to give upper cervical chiropractic care in Auburn Hills, MI a try. Many of them are deeply personal to the patients who walk through our doors. Although there are other reasons that may be unique to your situation, here are ten good reasons why you might want to make your next consultation with a health care provider in an upper cervical chiropractic office. Ten reasons to try upper cervical care in our Auburn Hills office. In the united states, upper cervical chiropractic care has helped hundreds of thousands of people overcome health challenges and live fuller, more enjoyable lives—even when other health strategies have not helped. 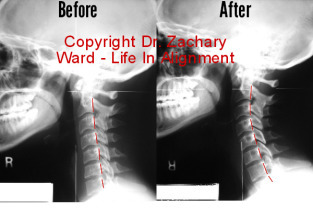 You can read about some of the changes our patients have experienced in our Auburn Hills chiropractic practice. While upper cervical chiropractic care is not a treatment for any one particular condition, a new alignment of the head and neck can remove subtle pressure from the nervous system that results in greater body healing. Over 100 different human conditions have responded to upper cervical care. You can read about some of them on the patient created site called UpCSpine. Upper cervical chiropractors work with a powerful area of the body, where the head and neck come into balance with each other. Unlike the stronger areas of the spine which have an inter-vertebral disc, there are weaker interlocking joints at the top of the neck. The whole thing mostly stays in balance from strong muscles and ligaments. Like any other muscles and ligaments, these upper cervical muscles and ligaments are subject to accidents and injuries which can threaten the normal balance of the head-to-neck area, and disrupt the body’s normal functions. Upper cervical chiropractic is gentle, and does not yank, pull, or twist the head and the neck. Your upper cervical chiropractor uses a non-invasive technique for improving health, which does not include any drugs, surgery, or repeated manipulations of the spine. Your upper cervical care works with other health care options, so you can continue with your prescribed medications, your physical therapy, your nutritional supplementation, acupuncture, or other body work—just so long as your other practitioners do not massage or manipulate the head, neck, or joints of the spine. If there are any questions about whether your other health care will interfere with our upper cervical chiropractic protocol, just ask us via this website or call the office. Upper cervical chiropractic care has been featured on The Doctors, ABC’s Good Morning America, Discovery Health, and PBS’ Chicago tonight for its ability to help with multiple sclerosis symptoms, head injuries, and high blood pressure. Upper cervical chiropractors and research organizations are involved in some of the most interesting studies on the importance of the spine to human health. For a sample of these projects, which look at more than just back pain, visit the Upper Cervical Research Foundation. Upper cervical chiropractors are often dedicated to advanced education in caring for the upper cervical spine, and will pursue certification in their upper cervical protocol. Dr. Zachary Ward is in the certification process with the National Upper Cervical Chiropractic Association. Upper cervical chiropractors are passionate about their work, and care deeply about helping people get well. With only a few percent of practicing chiropractors using a specific protocol for head-to-neck balance, upper cervical doctors are dedicated to technical excellence, and patient satisfaction with their care.